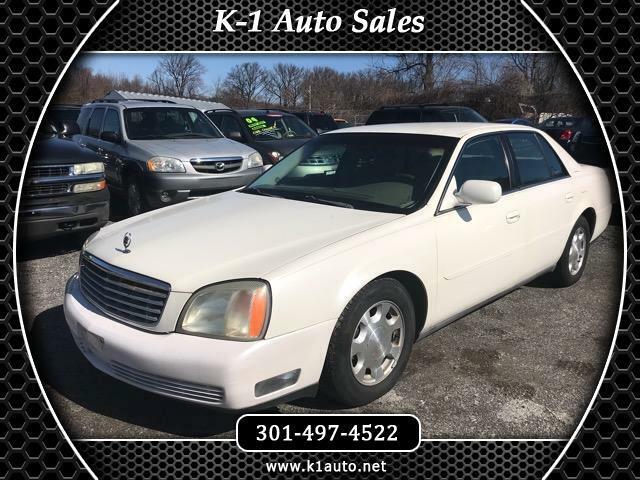 This 2001 Cadillac is a low mile base, DeVille is a four door Sedan featuring a 275 horsepower 4.6-liter V8 engine with a 4-speed automatic transmission. The DeVille features seating capacity for up to five, in addition to a long list of luxury equipment including auto climate control, cruise control, keyless entry, power accessories, heated seats and a leather-wrapped adjustable steering wheel with audio controls. Safety features include airbags, ABS brakes, park assist and traction control. with a smooth luxury ride.